The 72-year-old man was taken to hospital after the collision in Dalkeith on Tuesday. A pensioner has been hospitalised with serious injuries after being knocked down by a car that mounted a pavement in Midlothian. 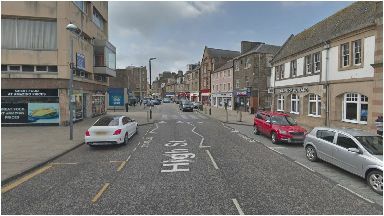 The 72-year-old man was struck by the blue Vauxhall Corsa at around 2.30pm outside a bank in Dalkeith's High Street on Tuesday. Emergency services attended and the pensioner was taken to Edinburgh Royal Infirmary with serious injuries. The driver of the Corsa was uninjured. The road was closed for three hours after the accident for investigations to take place. Sergeant Fraser Wood said: "Our inquiries are ongoing to establish the full circumstances of this collision, however, we do believe the car mounted the pavement accidentally. "I would appeal to anyone who was driving or walking in the High Street area of Dalkeith on Tuesday afternoon, and who witnessed what happened, to contact police as soon as possible."